Consistent and co-ordinated data protection procedures can be difficult to implement for businesses with multiple locations or remote/mobile workers. Business Continuity and Disaster Recovery issues are difficult to address, not to mention the security and data integrity concerns. 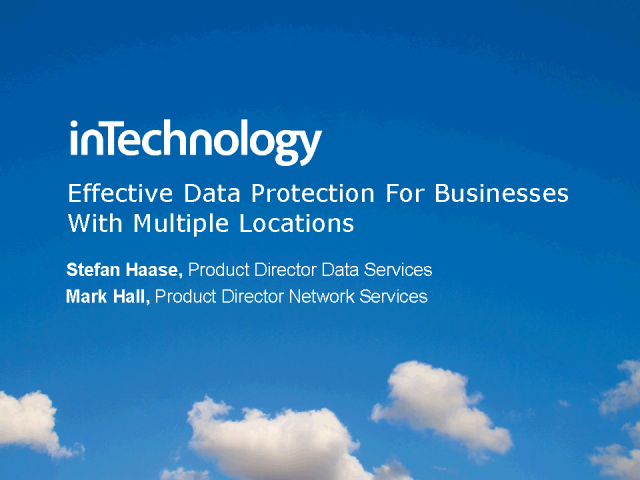 This webcast, presented by industry guru's Stefan Haase and Mark Hall, will provide you with insights into the challenges faced, some best-practice advice, and tips for successfully implementing data protection procedures across a distributed office environment.